When Lenovo spent U.S. $ 2.9 billion acquisition of Motorola Mobility by Google, shares of Chinese technology firms immediately fell 16%. However, look at the IBM business 10 years ago, buying and selling moves can be seen as aspiring to dominate the smartphone sector in the future of Lenovo. When Google Motorola Mobility sold to Lenovo , many argued that the search company is the world's largest threw the " Department of creditors ' hands go to battle with Samsung . During recent years , Motorola Mobility lost repeatedly . Only in the last quarter , the mobile unit has " thrown away " 248 million dollars . However, the data analyzed in more detail to see that Google will show more interest in this business billions , but that in 2011 spent 12.5 billion to acquire Motorola Mobility . That irony . Of course , no amount of U.S. $ 2.9 billion for the sale of all things related to Motorola Mobility . Google still retains much of Motorola Mobility 's patents , while Lenovo will own 2,000 patents after taking over the mobile parts . Does Lenovo have followed the "elder " Acer , Asus and most recently HP - each array jump from PC to smartphone production and failed miserably ? Back in 2004 when parts manufacturer Lenovo purchased IBM computer for $ 1.75 billion , many people have wondered " Lenovo is who ? " Even though it is large firms in China and India but Lenovo has not even present in the West . Meanwhile, the article only to Lenovo ThinkPad is falling prices . It should be noted that at that time, the ThinkPad is the brand business circle computer use . So when Lenovo intends to ordinary chemical product line is high , many people believe that they will fail that lessons HP merged with Compaq is still very new . In fact, the predictions did not happen . While Compaq merger threatened " tear " HP is Lenovo to retain not only the quality but also boost ThinkPad segment product and become the largest PC maker in the world by 2013. That same year , the world's PC segment sales decreased 11 % in general but not Lenovo unaffected . The company grew 17 consecutive quarter , increasing revenue , increasing profitability and cash flow has increased so " terrible " . In fact, Lenovo was very confident in the field of computing . Last January , the company announced the purchase to other major business segment of IBM - which is the x86 server business unit with $ 2.3 billion. Like former PC division , Lenovo is expected to promote this product line not only in America but also reaching out to other markets . Few doubt that the maker Lenovo smartphone has the fastest growth rate of the world and currently sit in fourth place . Sales increased by 132 % and Lenovo is now the second largest smartphone manufacturing China . At this point , many people " deja vu " that with the acquisition of Motorola Mobility , Lenovo is clearly ambitious song takes to succeed as it did with the ThinkPad . This is based entirely by the department but was losing money but if you look at the recent changes of Motorola Mobility , we again see plenty of bright spots . First, after 2 years of hands Google , Motorola Mobility has restructured nearly all . The section " surplus " was mercilessly thrown away , instead operating structure more efficient . Although there are " throwing money out the window ," but from now on , the operation of Motorola Mobility clearly more advantageous . Second, strict control mechanism Google has created many positive changes to the division of Motorola devices . Previously, two major product lines and DROID RAZR is considered to lack sufficient emphasis by all kinds of styles , sizes and repeatedly decry users . Now, we focus only for two products : Moto Moto X and G. The first product line is receiving positive response and is considered to be moving in the right direction . Google also appreciated the launch of KitKat upgrade to Android 4.4 devices line for months before its comparison with competitors . Next to , Lenovo will greatly benefit from the restructuring which Google did with Motorola Mobility . The company can use this strength to compete with rival Samsung after this . After taking over Motorola Mobility , Lenovo has immediate 6% of the global smartphone market and its ambition was to reach the tablet segment , especially in the Eastern market . According to Strategy Analytics , Lenovo will become the third largest smartphone producer in the world in terms of the number of devices sold. The immediate rivals that the firm will need to overcome include: HTC , LG , Sony and BlackBerry . If you look you can see how Google rarely have to do business with a loser , and in cases where Lenovo is never . 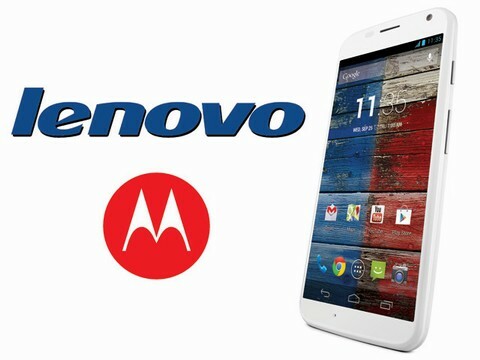 Google will own approximately 750 million shares of Motorola Mobility after sold to Lenovo .